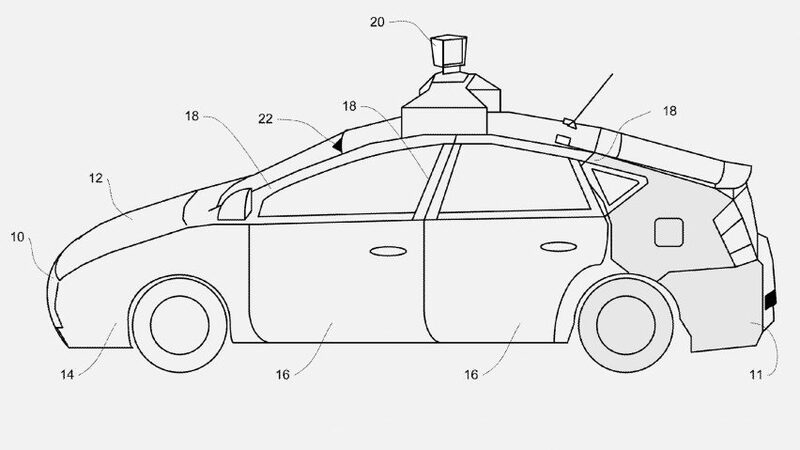 Waymo, Google's self-driving car spin-off, has been granted a patent for a design that would see its vehicles automatically soften if they collide with a pedestrian. The patent, granted last week, focuses on the car's exterior and the way it could "alter its rigidity" when it detects that it is about to hit a human. It would do this through mechanisms located across the car's surface, which Waymo calls "tension members". The car's motion sensors would identify the potential collision before sending a signal to the tension members. "Collisions involving at least one vehicle occur frequently and often cause serious harm," the patent reads. "The force of the vehicle's impact is a primary factor in the amount of damage that is caused by the vehicle. Accordingly, it is desirable to design a vehicle that can reduce the force of impact experienced during a collision." Google announced in 2016 that its self-driving car project would continue life as a separate entity named Waymo, a subsidiary of Google's parent company, Alphabet.